Since 1949, Presbyterians have joined with millions of other Christians through the One Great Hour of Sharing Offering. Through this major offering: the refugee and the stranger have found food and safe shelter; those stunned by the aftermath of disasters have found relief and help rebuilding; and communities seeking to take control of their future have found partners in development. Presbyterians' gifts support the work of The Presbyterian Committee for the Self-Development of People, Presbyterian Disaster Assistance, and the Presbyterian Hunger Program. The hundreds of millions of dollars Presbyterians have given over the last half century have enabled a powerful witness to the love of the One who came that all might have life more abundantly. Children’s One Great Hour of Sharing— bring your FISH COIN BANKS to church! Take a Fish Bank home to collect money in during Lent. Bring filled bank with coins on Easter morning as we join millions of other Christians through the One Great Hour of Sharing Offering to share God’s love with people experiencing need. Consider putting in a few coins daily each time you brush your teeth, or eat a snack. Your gifts may help a community buy fish nets, farming tools, supply a village with clean water or help in other ways to provide assistance during times of disaster, helping refugees or with resettlement or community development. Easter Sunday April 21 at 9:45 a.m.
Bill Maloney from St. Eugene’s Catholic Church will talk about solar power for your home and our church. Before Bill launched a campaign to put 100 solar panels on St. Eugene’s roof, he put solar on his own roof so he would know that it worked! Learn what is involved, how it works, and questions to ask about it for your home and our church. We will be making God’s creatures to hang on a mountain landscape mural, learning about the power of the sun and the wind through various activities, and measuring the amount of energy required to light different bulbs. Exhibits will be set up in and outside the Wallace Foyer about composting, recycling, energy efficiency & solar energy. We will also have a model ‘Tiny House’ with the Beloved Community Tiny House Village. And…an electric car will be in the circular driveway for you to experience! Walking the Path: 5:30 p.m.—7:30 p.m. The Creation Care Alliance Earth Day Vigil is a celebration of God’s wondrous creation, and a call to action to care for it during a time when it is in peril. The theme is “Walking the Path” and will include interactive and contemplative practices, music, poetry and stories from a variety of faith traditions. People of all faiths are welcome. The Creation Care Alliance Earth Day Vigil is a celebration of God’s wondrous creation, and a call to action to care for it during a time when it is in peril. The theme is “Walking the Path” and will include interactive and contemplative practices, music, poetry and stories from a variety of faith traditions. People of all faiths are welcome. Sunday, April 28, 5:30 p.m. - 7:30 p.m. with a labyrinth walk at 4:15, at the Sacred Garden/Labyrinth of First Baptist Church, 5 Oak Street in downtown Asheville. Dogs and kids are welcome, with supervision. Register here! so that each person is empowered to claim their identity as a child of God. 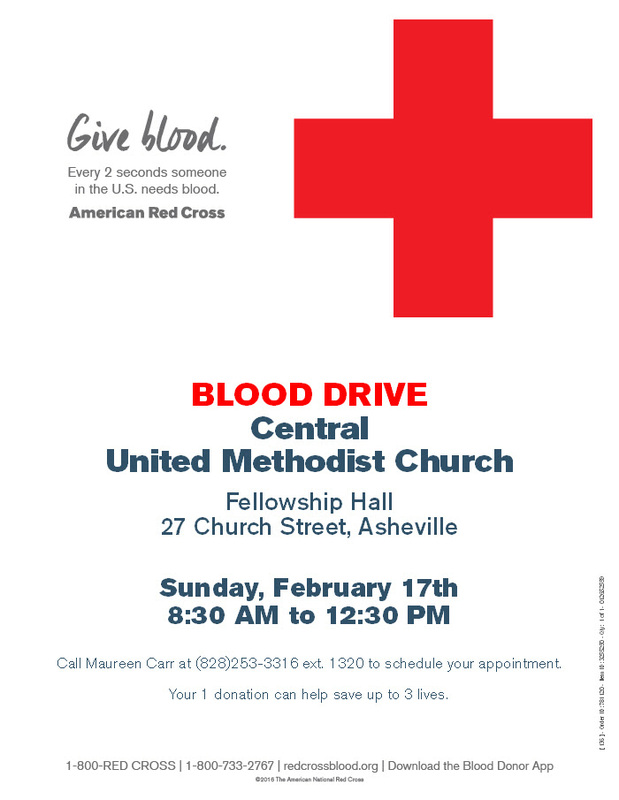 Did you know that you could fill the US Cellular center three times with adults in Buncombe County who cannot read at a basic skills level? Additionally, 8% of our community does not speak English at home and 33-40% of 3rd-8th grade students in our community test below on-grade-level proficiency standards in reading. These enormous deficits impact adults' abilities to find and retain living wage employment, children's likelihood of graduating from high school, and our entire community's health and economy. Join congregants from your neighborhood churches at Trinity Episcopal Church for lunch to learn how the Literacy Council of Buncombe County is addressing these issues -- providing our neighbors with the literacy and English language skills they need to live productive, self-sufficient, and fulfilling lives. You will learn about an often-hidden struggle and ways that you can be part of the solution. Swannanoa Valley Fine Arts League in Black Mountain in partnership with Homeward Bound is sponsoring an exhibit entitled, “Passages: A Journey Through Place and Space.” Twenty percent of sales at the two-month show will go to help end chronic homelessness through Homeward Bound. Refreshments will be provided and the public is welcome to join. Come join us for our Palm Sunday Walk with friends from Central United Methodist Church and Trinity Episcopal Church. We will gather in Room 106 in the children's hall at 9:45 to get our Palms. Then we will walk across the street to follow the donkey to Prichard Park. We will have a brief service in the park before walking back to church. We return to room 106 to receive instructions about the palm procession into worship during the 11: a.m. service. If you aren't able to come to the Donkey Walk, come to Room 106 at 10:45 to receive palms and instructions for the palm procession into worship during the 11 a.m. service. In recognition of 2019’s “100 years of Bauhaus” celebrations, Women’s History Month and the role of key women in shaping our region’s fiber art and craft heritage, Local Cloth presents an exhibit of work by modern women of the Southern Appalachian region who continue to push the boundaries of fiber art materials and techniques. These women also represent several area fiber artists who will be teaching a variety of workshops and classes at the Local Cloth studio on Asheville’s South Slope in 2019. This commitment to education helps ensure continuation of the rich textile traditions of the Southern Appalachians. Women in Fiber Art—1919-2019, curated by Local Cloth Resident Artists Joan Berner and Karen Donde, invites you to experience the legacy of our women fiber art pioneers by enjoying the work of the featured artists and participating in the classes they will be teaching this year. Join us for an evening of personal story telling from two women living at the Swannanoa Correctional Center for Women along with the Ministry of Hope chaplains Carol Dalton and Shannon Spencer. This is a unique opportunity to hear firsthand from incarcerated women about their experiences in our criminal justice system along with the development of their faith journeys while in prison. Enjoy the SCCW Voices of Hope choir and witness firsthand the prison ministry in which we are involved. And, come learn how you can make a difference in the lives of these women who live right down the road from our church. There will be time following the presentation for informal conversation over coffee and dessert in the fellowship hall. Meet in the kitchen at 8:15 AM to prepare – bring soft fruit, orange juice, and/or hard boiled eggs to share. Let Nathan know if you can help. And if you would like to help bake at 7:30 AM, let Nathan know, too! Members of various faith communities will gather to pray by raising the Cross of Christ to remind us that the Earth belongs to God and we are designated as stewards of creation. Meet at the Beaver Lake Bird Sanctuary at 11:30 a.m. (just North of the North Asheville Library on Merrimon Ave). There is limited parking, please carpool. After, St. Eugene’s Catholic Church is providing a soup and sandwich luncheon. Registration Deadline: Friday, March 15 Send email to ChristianDiscipleshipCenter@gmail.com with your name, phone number and church affiliation or call (828) 350-8220 with the same information. and the Creation Care Alliance. The Christian Discipleship Center is an ecumenical organization of seven Asheville churches, including Central United Methodist Church, First Presbyterian, St. Eugene Catholic Church, St. Mark’s Lutheran Church, St. Mary’s Episcopal Church, St. Paul’s United Methodist Church, and Trinity Episcopal Church. Join us on Sunday, March 17 at 2:00 pm for beautiful music for the Lenten season. Soprano, Jennifer Pedersen, and Mezzo Soprano, Simone Vigilante, accompanied by chamber orchestra, sing Giovanni Battista Pergolesi’s stunning Stabat Mater. The piece, which will be conducted by Jeremy Roberts, tells of Mary the Mother of Jesus' experience while keeping watch at the cross and invites each of us to join her there, meditating on Christ's passion. The Nominating Committee is preparing to nominate officers for the class of 2022, ruling elders to serve on session and deacons to serve with congregational care teams. The nominating committee is seeking candidates that possess leadership skills, gifts of spiritual discernment, engagement and commitment to the church and the time and willingness to serve. Printed descriptions about these roles are located beside the nomination cards and posted below. Please prayerfully consider and suggest to the committee members of the congregation whom you feel would provide spiritual leadership and nurture to the church. The committee needs your suggestions by MARCH 17. Your thoughtful recommendations are a very important part of the process! Amici Music "A Night in Vienna"
AmiciMusic returns to First Presbyterian on Saturday, March 16 at 3:00 with a program called "A NIGHT IN VIENNA" that is part of their Mozart in the Mountains Weekend Festival. 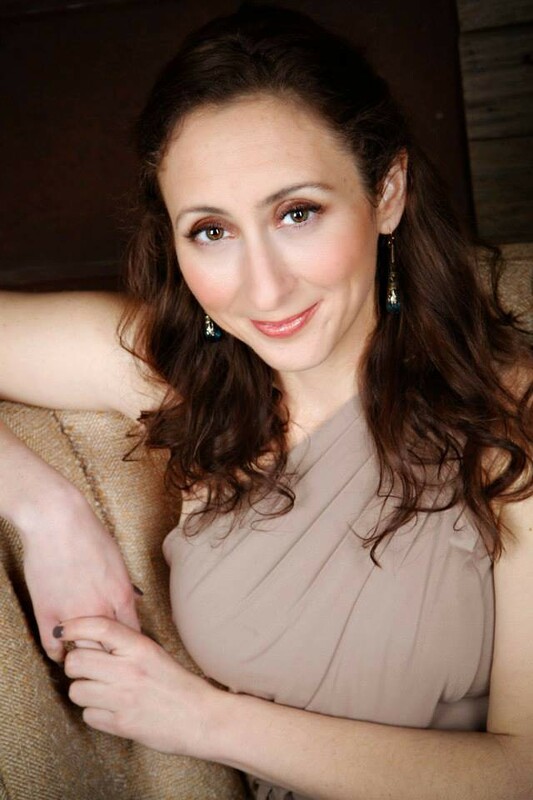 Soprano Amanda Horton, baritone Jonathan Ross, and pianist/Artistic Director Daniel Weiser will perform scenes from several Mozart operas as well as scenes and arias from Viennese operettas by Lehar and Strauss. Take a musical trip to the Austrian capital and listen to the celebrated music that made it famous. General admission at the door is $25 and Church members are only $20. Children 18 and under are free. Further discounts available if you purchase seats in advance online at www.amicimusic.org or call Daniel Weiser at 802-369-0856. Presented by Local Cloth Inc.
Anni Albers wanted to study painting when she applied to the renowned Bauhaus art school in Germany, but was forced to choose between bookbinding and weaving, which the founder deemed more appropriate for women. In recognition of 2019’s “100 years of Bauhaus” celebrations, Women’s History Month and the role of key women, including Albers, in shaping our region’s fiber art and craft heritage, Local Cloth presents an exhibit of work by modern women of the Southern Appalachian region who continue to push the boundaries of fiber art materials and techniques. One Worship Service only—11:00 a.m.
Come enjoy a service led by our youth on Sunday March, 10th in the Sanctuary. This service will take a close look at Jesus’ journey into the wilderness and his temptation by the devil. The youth will lead us in a dramatic interpretation of this story. This is the first week of lent and also Daylight Savings Time. Imposition of Ashes: Come from 12:15-12:45 and find stillness in the midst of a busy day through a simple service of prayer, scripture, music, and the imposition of ashes. Come to the Fellowship Hall for a simple meal at 5:30 p.m. and stay for the worship service following dinner. Ash Wednesday is the threshold that marks the beginning of our journey into Lent. In this contemplative service we hear scripture, offer prayers of personal and corporate repentance, and receive ashes as a mark of our mortality and repentance. This year, we will be joined by the choir of Furman University who will offer a brief concert at 6:15 before participating in worship at 6:40 p.m. The St. James Choir will sing Choral Evensong for Epiphany on Sunday Feb. 24th at 5:00 p.m. Music for the service will include canticles by T. Tertius Noble in A Minor, Anglican chant by Thomas Norris, and the anthem Christ, Whose Glory Fills the Skies by Harold Darke. The organist for the service will be Howard Bakken. The service will be followed by an organ recital by Jeremy Roberts. Mr. Roberts will be playing works by Moritz Brosig, Bach, Buxtehude, George Thalben-Ball, and John Rutter on the church’s Harrison & Harrison organ. The congregation may greet Mr. Roberts in the church following the recital. No tickets are required; an offering will be received. For further information, please contact Director of Music Brad Gee at 828-694-6925 or by email. in our 125th Anniversary Lecture Series: Celebrating the Power of Place. Jay Erskine Leutze, author of “Stand Up that Mountain: The Battle to Save One Small Community in the Wilderness Along the Appalachian Trail,” will lead this discussion. Go to their website to register- the series is free. The lecture takes place on Sunday, February 17, 2019 at 4 p.m. in Kittredge Theatre, Warren Wilson College. Scott Hardin-Nieri, Director of the Creation Care Alliance of WNC, will lead us in worship, conversation and prayer regarding our role as Christians in God’s creation on Sunday, February 17. He will be preaching at both services and leading a class, “Faith in Action: Loving Neighbor and Planet,” at 9:45 AM in Room 112. Scott is an ordained pastor with the Christian Church (Disciples of Christ) and will share how he learned to listen to people and nature in a new way while living in Montevede, Costa Rica. Sunday, February 17 8:30 a.m.- 12:30 p.m.
Share a delicious breakfast, fellowship, an opportunity to continue one’s faith journey, and a very informative program in the Fellowship Hall. Any man who attends our church or his friends are welcome to come to the breakfast and meeting. Call or email the church to sign up for the event. One More Chance to Sign Up!!! These small fellowship groups meet monthly to share a meal in each others' homes or in another setting of the group's choice. We'll assign you to a group of approximately nine adults who will meet in March, April & May on dates that are convenient to the group members. Hosting duties rotate each month, but you do not need to serve as host in order to participate. Amici Music Concert: "Go Tell It On the Mountain"
AmiciMusic presents "GO TELL IT ON THE MOUNTAIN" on Sunday, Feb. 3 at 1:30pm. This program of powerful Spirituals and exciting Ragtime celebrates the African-American musical experience and features soprano Simone Vigilante and pianist Daniel Weiser. $15 for Church members---children are free. Tickets available at the door or buy discounted seats in advance at www.amicimusic.org (click on the Asheville concerts link at top of page). On Sunday, February 3, we have the opportunity to participate again in the Souper Bowl of Caring! Come enjoy some hearty soup prepared by our Saturday Sanctuary chefs with bread and cookies baked by our youth! All donations will benefit our Saturday Sanctuary Ministry which provides a safe space for our downtown neighbors on Saturdays October-March (9:00 a.m. to 4:00 p.m.). A project began by a youth group from Columbia, SC in 1990, the Souper Bowl of Caring seeks to inspire congregations to collect dollars to benefit local charities, changing the nation's largest weekend of football into the largest weekend of caring! In 2018, Souper Bowl of Caring empowered 2,296 participating groups to collect over $1.4 million in cash and food items which impacted over 2,385 charities all across the United States. On this day, as millions of people focus on the NFL championship game, we have a chance to make a difference for our downtown neighbors! 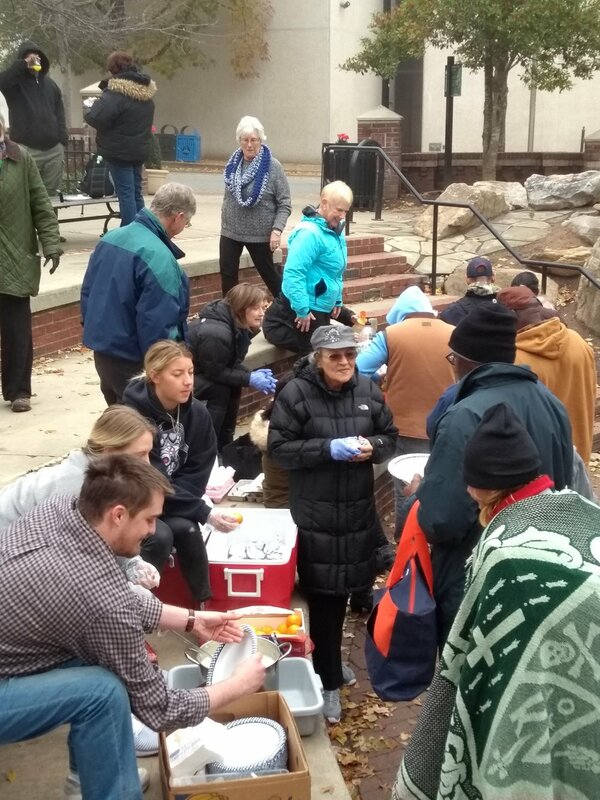 Come join a group of adults as we serve breakfast to the homeless in Pritchard Park – Downtown Asheville. On Sunday, January 27 we will meet at FPC-Asheville at 8:45 am and walk over to Pritchard Park to deliver food and serve breakfast – 8 servers needed! 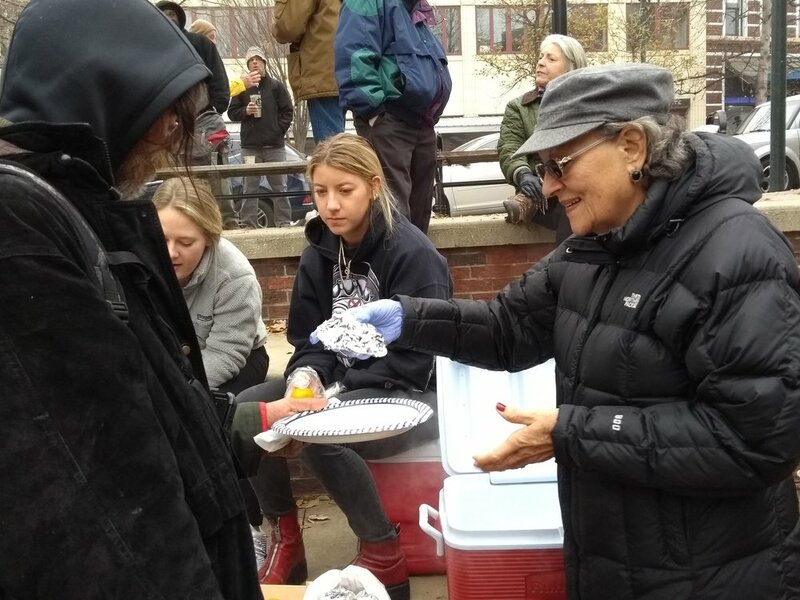 There are other ways to support this ministry – we will need 11 dozen hard boiled eggs (in the shell), soft fruit – bananas, grapes and baked goods donated. Please contact Jamie Brady to serve or donate food items. We meet to learn, to share a meal and to enjoy the company of other women in our church. Any woman who attends our church and her friends are welcome to come to meetings. Women who wish to attend are strongly encouraged to call the church office or email womensstudies@fpcasheville.org and sign up to come. Pisgah Legal Services Attorney Julia Horrocks and a colleague will share some immigrant clients' stories. They will describe how PLS assists families to solve some of their many daunting problems. The attorneys invite our questions both before and during this meeting. The Presbyterian Men’s Organization would like to invite all men of the church to an evening at Barley’s Tap Room for a time of fellowship and a look at a faith focused topic. Food and drinks will be available for purchase, and childcare will be available at the church. We will be meeting on the upper level and begin discussion around 6 p.m.
Join in a roadside cleanup in preparation for the MLK Jr March from St. James AME Church to Downtown. We will be finished with the cleanup in time if volunteers would like to walk in the MLK Jr March. GreenWorks will be supplying gabbers, gloves, vests and bags. Last year we had a HUGE turnout. We cleaned up from Downtown all the way through Historic East End / Valley Street neighborhood. Thanks to the City of Asheville Sanitation Dept for providing their dumpster for this project. Please sign up to let us know that you’re coming out. Peace March & Rally (11:30 a.m.) Free and open to the public. Please join us at St. James AME Church at 11:30am for the kick off ceremony of our Peace March & Rally. At 12:15pm we will march down College Street to City-County Plaza where the rally will be held. Attendees are encouraged to bring non-perishable food items which will be donated to Manna Foodbank. Candlelight Service 6:00 p.m. Free and open to the public. We hope you will join us for the annual Candlelight Service at Central United Methodist Church as we celebrate community members whose service to the community is reflective of Dr. Martin Luther King, Jr.'s legacy. There is a reception afterwards in the fellowship hall. Citizens of Asheville and Buncombe County will celebrate our community’s 38th Annual Dr. Martin Luther King, Jr. Prayer Breakfast at the Crowne Plaza Resort on Resort Drive in West Asheville. Thank you for the support you and others in our community have given the Martin Luther King, Jr. Association in past years. We cordially invite you to join us once again as we celebrate our nation’s progress and forcefully face the obstacles to Dr. King’s dream that still confront us. This year our keynote speaker will be civil rights pioneer Ernest G. Green, one of the world-renowned Little Rock Nine, who integrated Central High School in Little Rock, Ark. in 1957. Tickets for the breakfast may be purchased for $25 each. Patron tickets are available for $35, with patron names included in the program journal. Tickets may be purchased at www.mlkasheville.org or call (828) 281-1624. Amici Music Concert "Opus One"
AmiciMusic returns for another intimate chamber music concert that breaks down the barriers between performers and audience. "OPUS ONE" features piano quartets that were the first published works by Felix Mendelssohn (age 14) and Josef Suk (age 17) as well as a movement by Suk's mentor and future father-in-law, Antonin Dvorak. 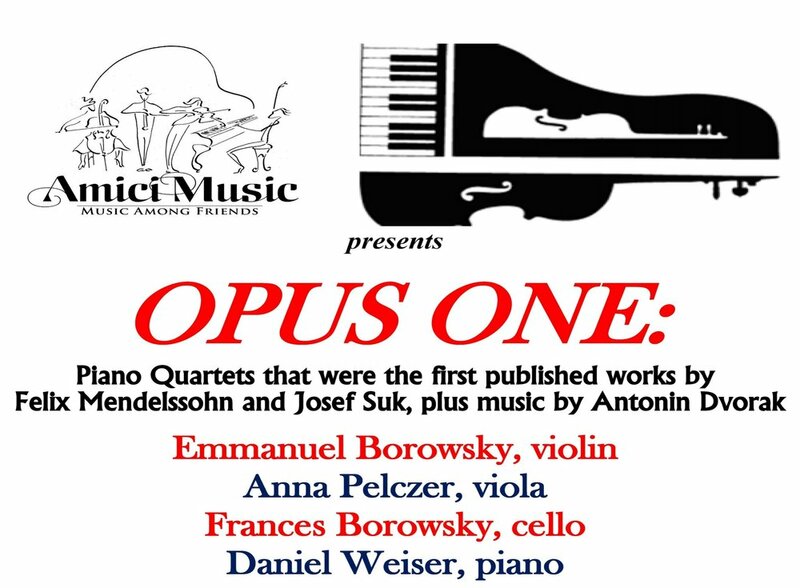 The performers are Emmanuel Borowsky, violin; Anna Pelczer, viola; Frances Borowsky, cello; and Daniel Weiser, piano. Admission at the door is only $15 for Church members and $20 for general admission. Children 18 and under are free. Buy discounted seats in advance here. 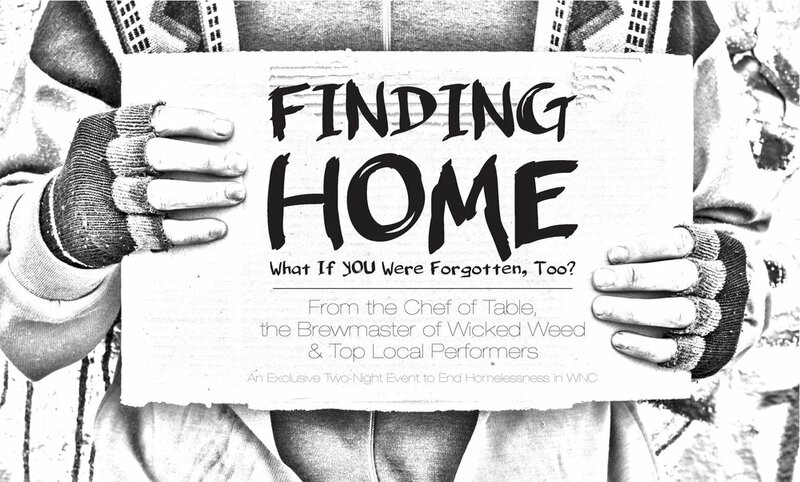 All proceeds benefit Homeward Bound- Tickets are available HERE. The Christmas season concludes on Sunday, January 6, Epiphany of the Lord. Epiphany worship celebrates the manifestation of God in the birth of Jesus Christ, expressed in the symbol of the star and the journey of the Magi. Our Epiphany service will include our annual ritual of selecting a “star word” for the coming year.